The Westminster Quarters is the most common name for a melody used by a set of clock bells to chime on each quarter hour. 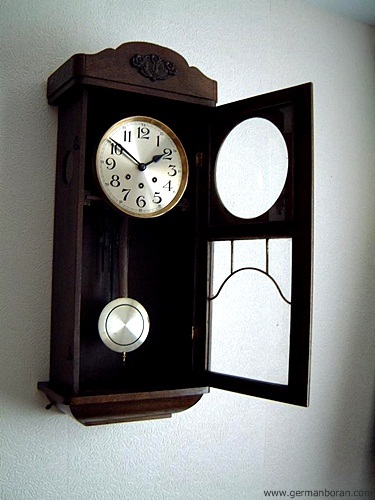 The number of chime sets matches the number of quarter hours that have passed. It is also known as the Westminster Chimes, or the Cambridge Chimes from its place of origin, the church of St Mary the Great, Cambridge. This chime is traditionally, though without substantiation, believed to be a set of variations on the four notes that make up the fifth and sixth measures of "I know that my Redeemer liveth" from Handel's Messiah. This is why the chime is also played by the bells of the so called 'Red Tower' in Halle, the native town of Handel. It was written in 1793 for a new clock in St Mary the Great, the University Church in Cambridge. There is some doubt over exactly who composed it: Revd Dr Joseph Jowett, Regius Professor of Civil Law, was given the job, but he was probably assisted by either Dr John Randall (1715-99), who was the Professor of Music from 1755, or his brilliant undergraduate pupil, William Crotch (1775-1847). In the mid-19th century the chime was adopted by the clock tower at the Palace of Westminster (where Big Ben hangs), whence its fame spread. 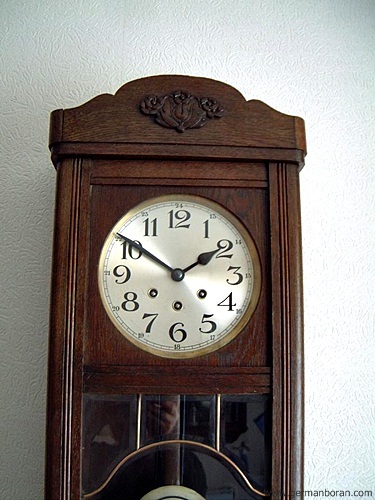 It is now possibly the most commonly used chime for striking clocks. 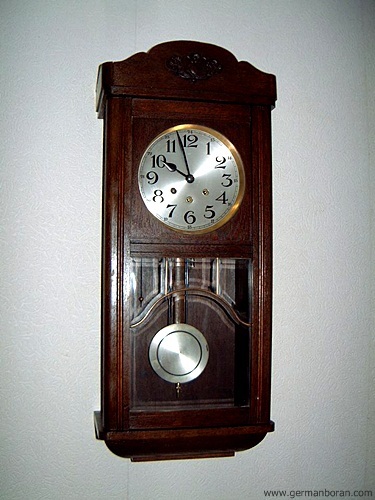 According to the church records of Trinity Episcopal Church (Williamsport, Pennsylvania), this chime sequence was incorporated into a tower clock mechanism by the E. Howard & Co., Boston, MA. The clock and chime in Trinity's steeple base was dedicated in December 1875. It holds the distinction of being the first tower clock in the United States to sound the Cambridge Quarters. รหัส: B6_63 ข้อมูล: นาฬิกาแขวนสามลานโบราณ ขนาด(กxสxล) 32x88x18cm. ตู้นอกใหญ่ออริจินัล แปะลายไม้อลังการหายากมากๆ แปดแส้แปดค้อน ตีเสียงเพราะๆ ตกแต่งด้วยบรอนซ์ทองหรูหรา กระจกเจียหนาๆ คุณภาพเต็มร้อย สภาพสมบูรณ์สวยสุดๆ ครับ เบื่อสามลานแบบเดิมๆ กันหรือยังครับ?